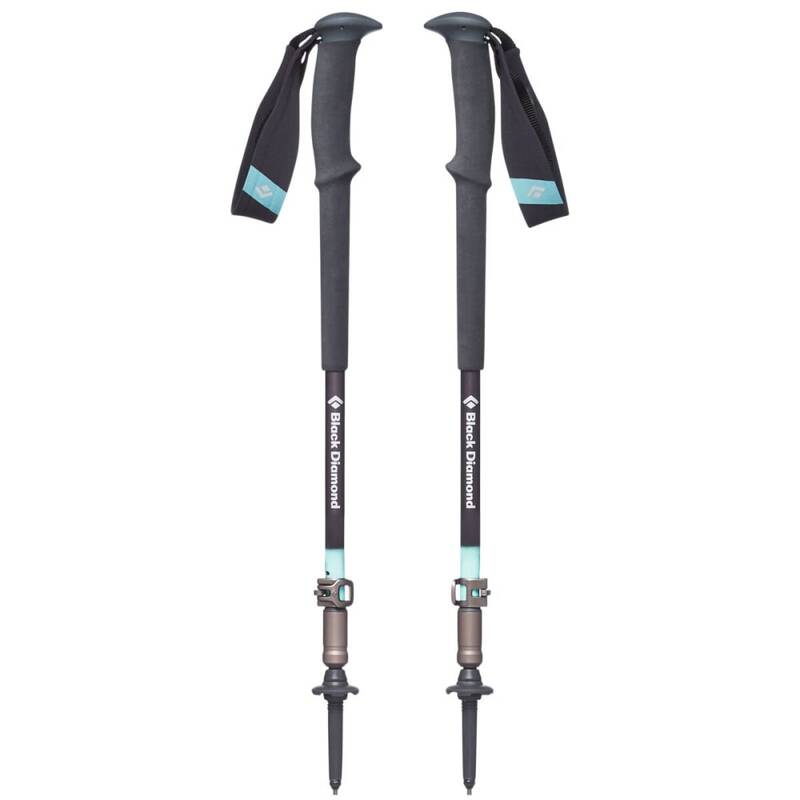 With a huge range of adjustment with a well-balanced, durable design, the Trail Pro is a reliable, high-performance pole for everything from day hikes in the Adirondacks to multi-day treks in Nepal. The pole's redesigned FlickLock Pro adjustability is now lighter, stronger, and easier to use while featuring a more durable forged aluminum construction, making for fast, secure, and easy adjustments to suit the terrain. This adjustability is combined with Black Diamond's new SmashLock quick-release technology, a mechanism that allows you to quickly deploy the telescoping pole and lock it into place with an easy-to-hear click (keep FlickLock Pro closed during deployment). Then, with the FlickLock Pro open, swiftly and firmly press the tip of the pole into the trail to release the SmashLock for a quick collapse. 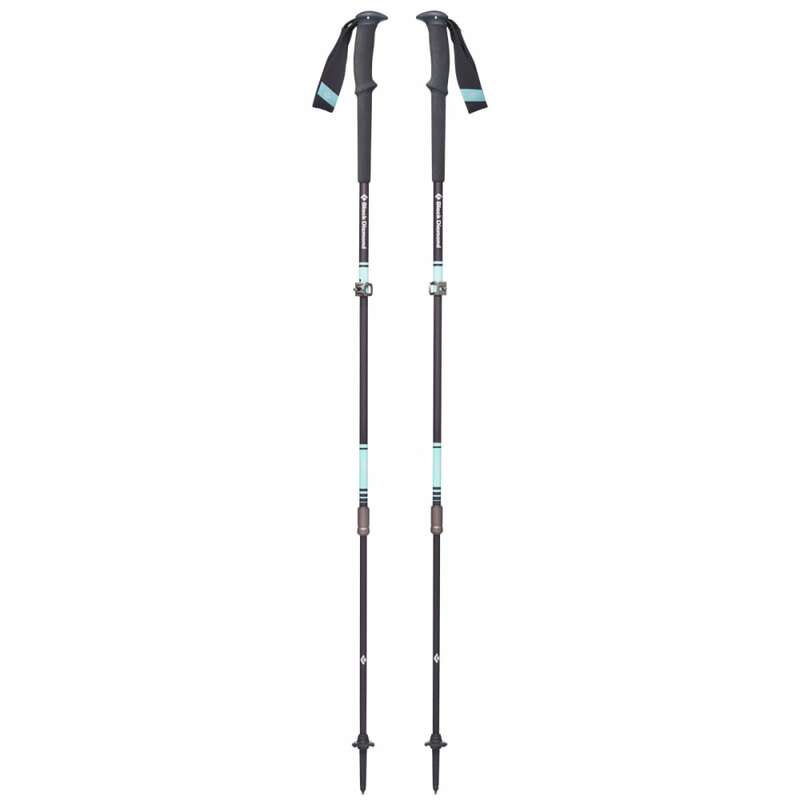 The dual-density grip has been updated with a softer rubber top and a smoother, more comfortable design, while the solution strap draws inspiration from Black Diamond's harness technology and includes more surface area for better security around the wrist and improved handling whenever you're tackling steep terrain. Weight per pair: 16.8 oz.